“Time and tide wait for no man,” our mother was known to say many times. We never knew she was quoting Geoffrey Chaucer. She liked it that way, it was a game for her to play on us. We just thought she knew everything! All the worlds’ knowledge was somehow stored in her down-feathered pillow and every night would enter her brain through osmosis! How else were we to explain her expansive knowledge? 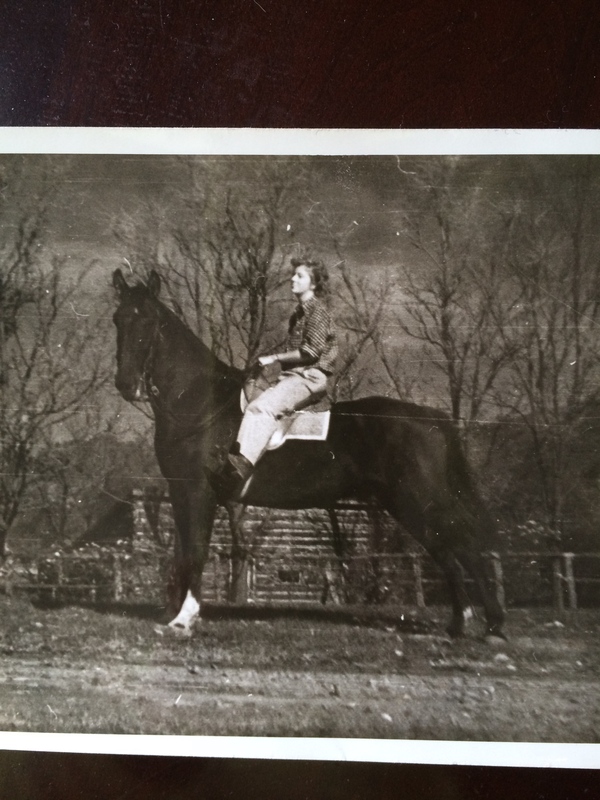 Mom astride her huge gaited gelding, Duke. Time and tide has taken her and escorted her to the other side of heaven. Yet, her legacy lives on, horses, she was an exceptional horsewoman. Over the next few weeks we will be posting pictures of her with her horses (and ours) as we take a visual walk through the life of this legacy that was gifted to us. In the early morning light of a cold January morning while spreading straw in the horse stalls, I am reminded of just how cozy a barn is. 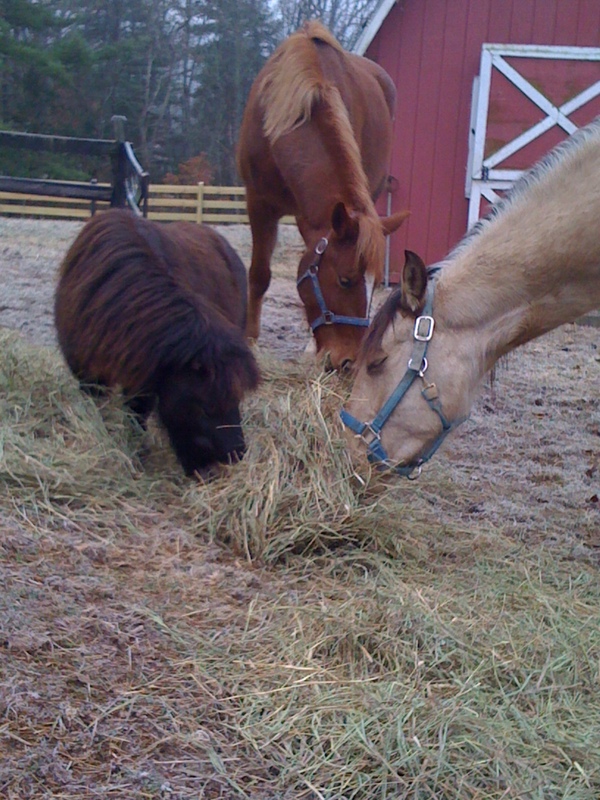 The horses make their way in to stand in the fresh straw and quietly eat their sweet smelling hay. In this peaceful setting it is hard to think of the worries the day may (will) hold for us. There is no rush at this moment. The horses have a calming, comforting affect as does the barn. It does not mind dirt on its floor. It houses birds and mice without complaining. Cats find warm spots to sleep, and cobwebs wave happily in its rafters. Even a Baby was born in the barn. The rain plays a rhythmic tune as it falls on the roof. A day begins and ends in the barn—the wonderfully, cozy barn. 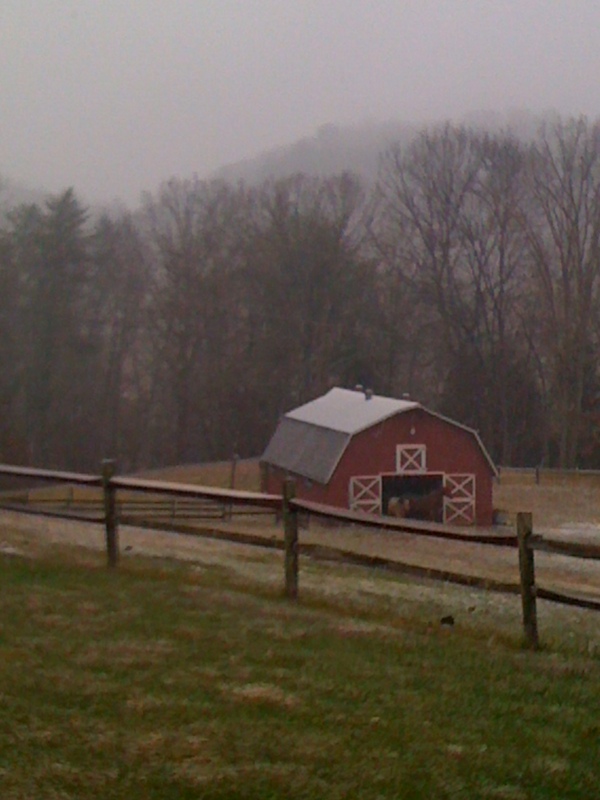 On wet, snowy days, our horses get their hay inside the open barn. But here is a thought—my twin and I are actually bigger than our older ‘big’ twins. Perhaps then we should call the ‘bigs’ the ‘littles’ and the ‘littles’ the ‘bigs’! Oh my! !